STAMP DETAILS: This set comes on a single 4×6 acetate sheet. The circular sentiment is 2-1/4 inches in diameter, the lucky you sentiment is just over an 1 inch wide by about 1/3 inch tall, and the longest sentiment, “A good friend…” is just under 3-2/5 inches wide by 1/2 an inch tall. The largest clovers are just under 1 inch, while the smallest are about 1/3 of an inch. DIE DETAILS: Contains a total of 11 dies. STAMP DETAILS: This set comes on a single 4×8 acetate sheet. The frame is 3-3/4 inches by 5 inches, the cross is slightly bigger than 1-1/2 inches wide by 2 inches tall, and the larger medallions are just under 3/4 inches in diameter. The large border is 2-1/3 inches wide, while the small one is about 1 inch wide. DIE DETAILS: Contains a total of 9 dies. 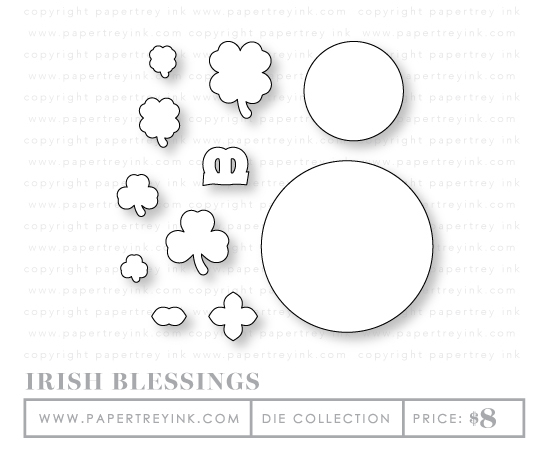 STAMP DETAILS: This set comes on one 3 x 4 acetate sheet. 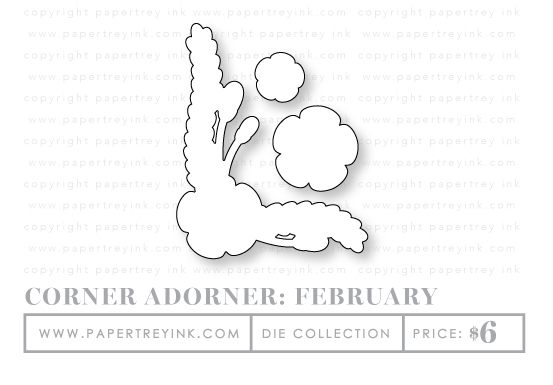 The fully assembled floral corner image measures just over 2 ½” wide by just over 3 ⅛” tall. The largest flower measures 1 1/10” wide by 1 1/10” tall. The “Sending you sunshine” sentiment measures 2 ½” wide by ⅜” tall. The largest leaf measures just under ⅓” wide by ⅝” tall. 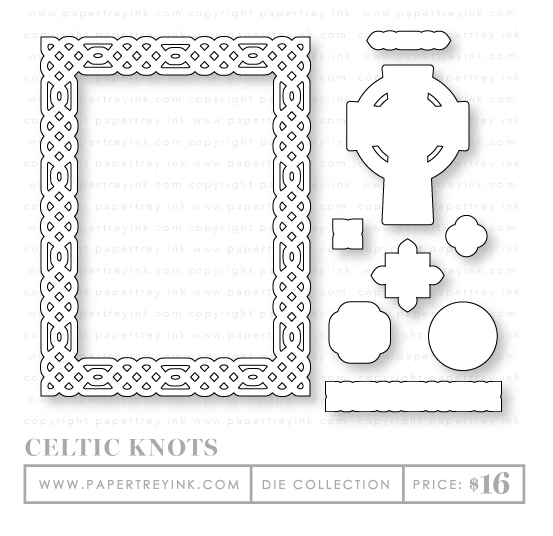 STAMP DETAILS: This stamp set comes on one 3 x 4 acetate sheet. The block birthday sentiment measures 2 ½” wide by just over ¼” tall. The more formal script sentiment measures 2 ½” wide by just under ½” tall. The casual script sentiment measures 2 ½” wide by just over ¾” tall. The “to my favorite person” sentiment measures just over 1 ¾” wide by 1/10” tall. The “it’s party time” sentiment measures 1” wide by 1/10” tall.